Established in 1996; Izmir Shipyard A.Ş. is a boutique shipyard, with a focus on workboats, utility crafts and patrol boats for commercial and public customers. Settled at company owned 5000 m2 shipyard with 2000 m2 closed space on the NW of the Gulf of Izmir, Turkey; it is run now by the second generation of the same family along with reputable engineers and qualified technicians. Investing in technology and Innovation is a family heritage for us, that is why we have been investing heavily in our ability to process thermoplastic HDPE materials on any maritime shape and purpose, which is 100% recyclable. We have more than 50 vessels on the seas around the globe now and this number is ever expanding through mostly returning customers. 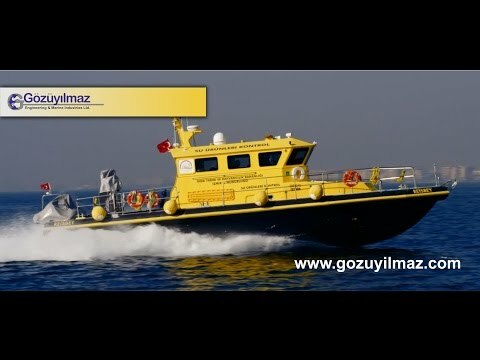 Izmir Shipyard will exhibit its newest generation of HDPE workboat series, Sea vIZion® at this year’s Seawork.